Laser Genesis Skin Rejuvenation uses advanced science to achieve vibrant, even skin tone and smooth texture in both men and women. Light penetrates deeply into the skin where collagen is manufactured, stimulating an increase of new collagen production. Unlike harsher methods, this is done without destroying the upper layers of skin (non-ablative). 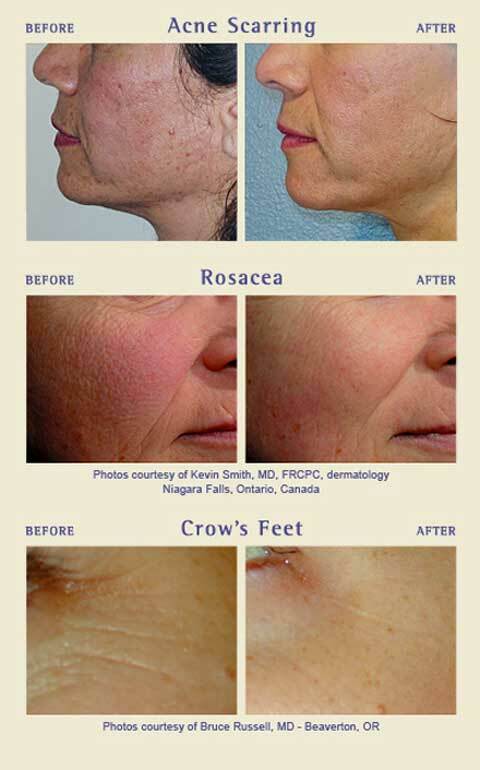 The Laser Genesis Skin Rejuvenation procedure safely, discretely and effectively treats scars, uneven textures, fine line wrinkles and large pores. The result is skin with smoother texture and a healthier appearance. The skin is gently warmed during this procedure, and daily activities may be resumed right away. This is truly a rejuvenating experience with no down-time. Benefits: Improves skin’s overall texture, particularly on face and neck; smooths out acne scars and pits; tightens large pores; decreases the appearance of fine line wrinkles, including crow’s feet; decreases facial redness, including that caused by rosacea.